Fit Mama to 3: What's for Breakfast? Breakfast! Early girl tomato straight from the garden topped with an ounce of fat free feta, tropical pepper and a little cilantro. 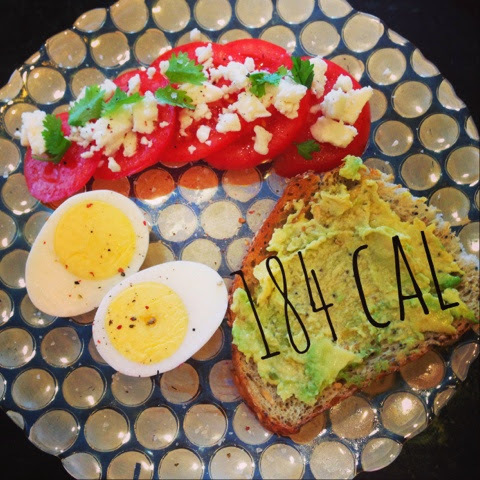 Hard boiled egg with pepper and a half slice of whole grain bread with a smear of avocado.